34th Annual BRC Record show will be August 17, 18 and 19th at the Gardendale Civic Center. 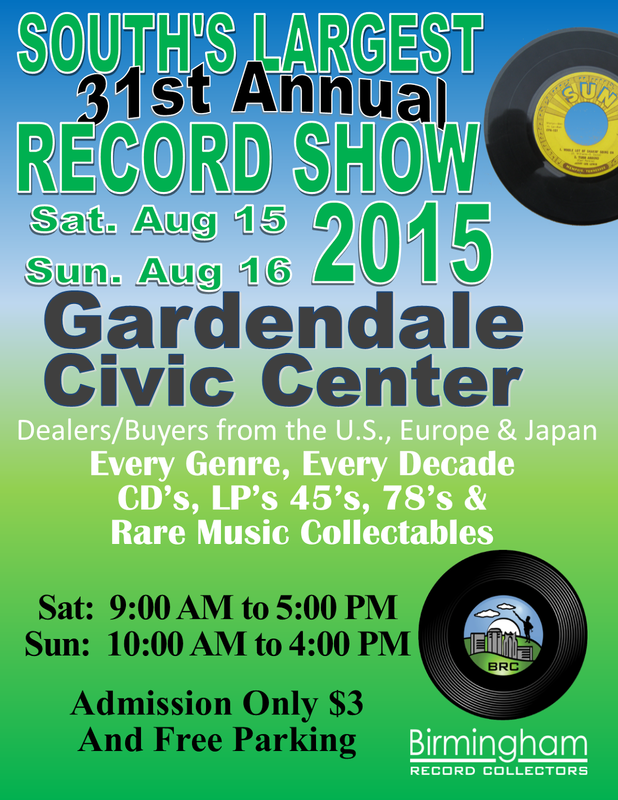 Dealers from all over will have records in all formats, CDs and memorabilia. See flyer for more details. 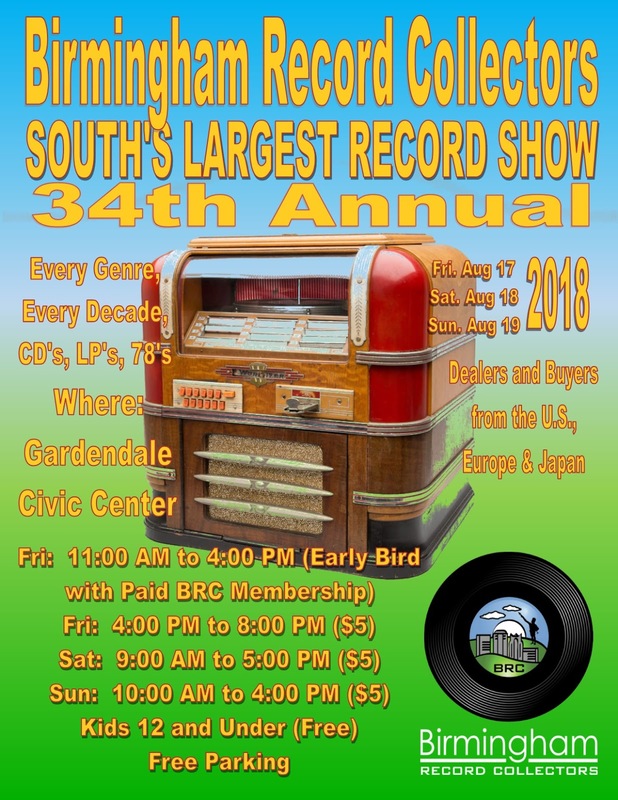 ARCA Record and CD Show will be held at the Bessemer Civic Center on March 3 & 4, 2017. 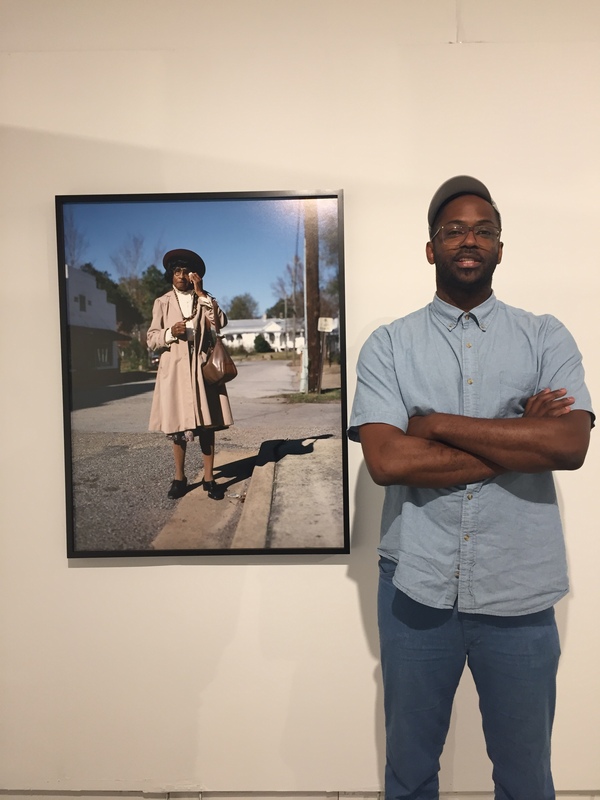 On Friday, the Early Bird session starts at 1 pm with an admission charge of $10. The $3 general admission hours on Friday are 4-9 pm and 9 am – 5 pm on Saturday. 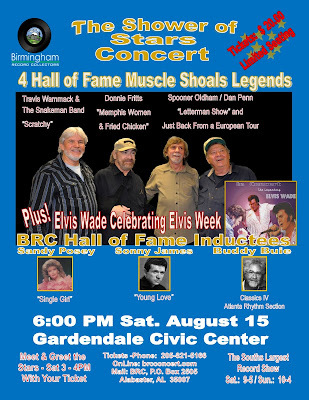 Will this be your first visit to the show? If you have any questions or need advice, sent us an email at alarecordca@gmail.com and we’ll be glad to help. 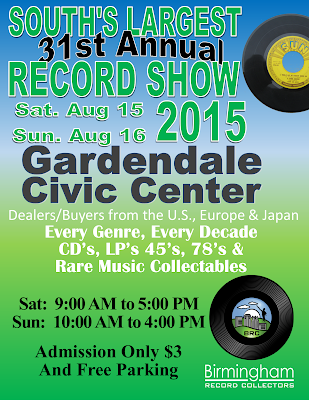 The 31st Annual Birmingham Record Collectors Record show will be Saturday August 15 and Sunday August 16th 2015! 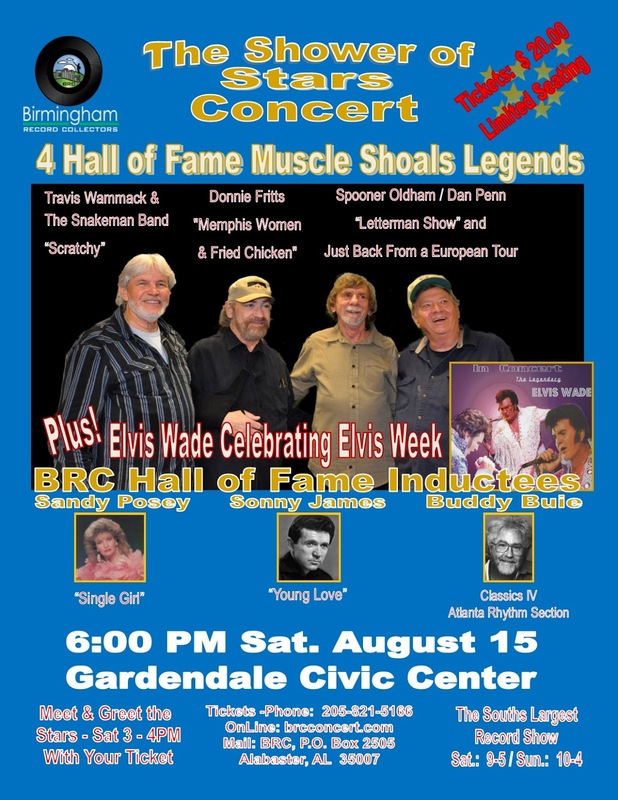 This don't miss event will be at the Gardendale Civic Center.